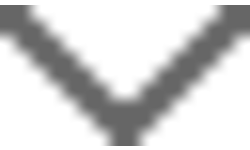 Hello Neighbors! 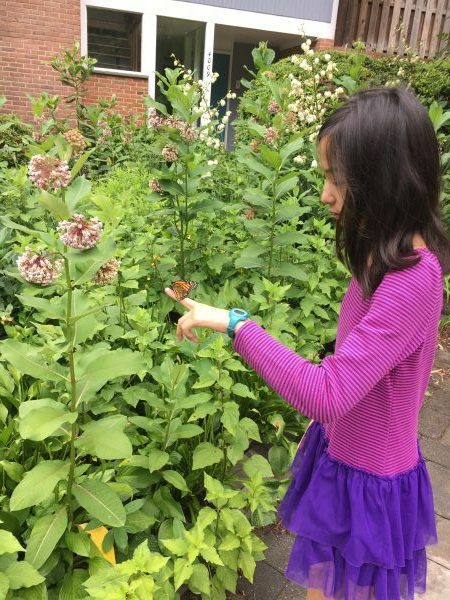 My name is Ella Kim and I successfully raised 7 monarch butterflies from their eggs. Because milkweed grows locally, I identified the eggs on the milkweed because of their ridges. 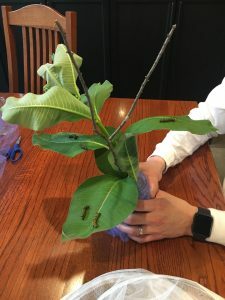 After that, I kept feeding them milkweed and they grew very rapidly as caterpillars. 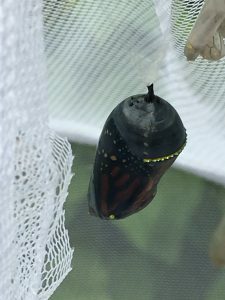 It was fascinating to see them progress and finally get ready to form a chrysalis. 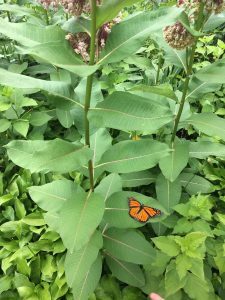 After a couple of weeks, they emerged and I released them back onto the milkweed. They stocked up on nectar and limbered their wings to get ready for the migration ahead. 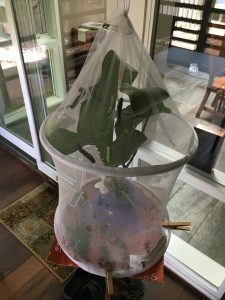 This was special because the butterflies chose to lay their eggs in our local area in particular, so I was pleased to help raise them. I hope they come again next year. Note about the author: Ella is 13 years old, entering 8th grade this Fall.